Prime Hernandez or Prime Del P at ST? WL closes at 8am Monday (UK)? Swap Baby Blanc for FUT Birthday Florenzi? Anyone (Gold 3 WL level) fancy a game? Do OTW upgrade with TOTY? Is the web app/mobile app down for anyone else? 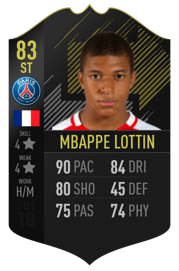 Will a TOTS card upgrade a OTW card?